When recently talking to Eric about this book, he indicated that Ernst has shown two very specific things that he believes nobody else has shown. Eric may discuss these two items on his next live call coming up on March 17th. “Born 1964 in Amsterdam. I always wanted to figure out how things work. I was repairing all things electronic in my teens, taught myself digital electronics and designed and built my first computer when I was 18. I went to University to study computer science and physics and worked in IT until 2005. 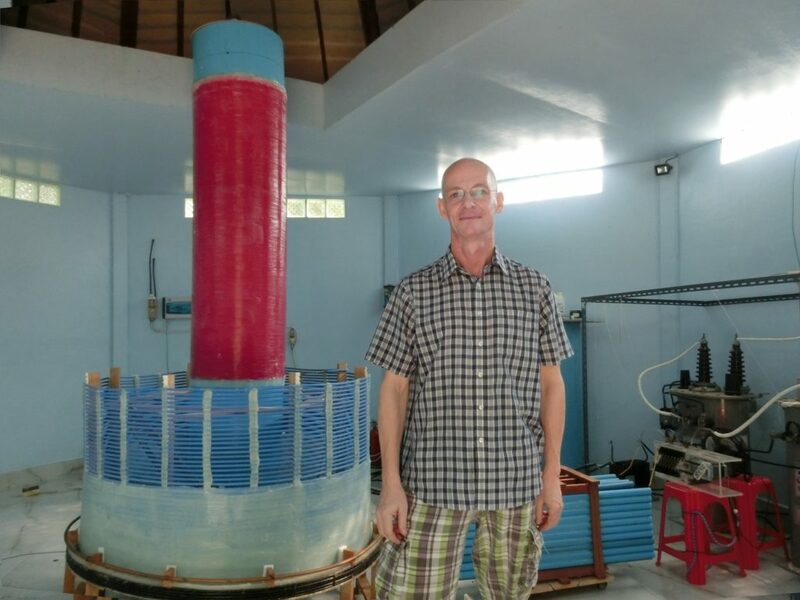 Then I moved to Thailand and while looking for a new hobby I came across Tesla. I have collected all his works (as much as available) and started replicating his experiments so I would see what he must have seen. In 2014 the voltages became too high for living room experiments and together with an ex-colleague we started Ethergy Co. Ltd. to attract funds for a lab and equipment. Please use the share buttons below to help share this with your friends. Ernst deserves to have his work recognized and we are fortunate that he is willing to share it with us! This is the last of the video taken of Eric down as his lab early last December. Please donate by PayPal in the right column or mail a donation to the address listed. Help support EPD Laboratories, Inc. and Eric Dollard’s work. 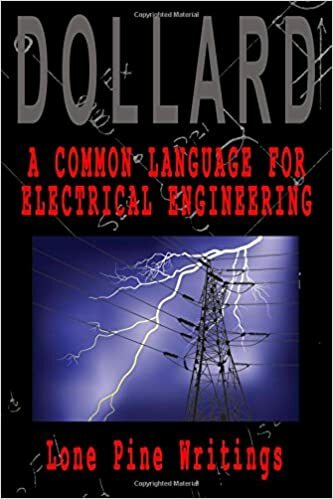 Here is a brief interview with Eric Dollard on his new paperback – A Common Language for Electrical Engineering, Lone Pine Writings. This collection of papers started appearing in discussion threads on Energetic Forum around 2011. At the time, Eric Dollard was living in his famous 1980 Toyota Corolla, in the harsh wastelands of Lone Pine, California. Originally, Eric wrote the material out on paper and mailed it to a colleague who transcribed the material and posted it in the forums under the pseudonym “T-REX”. Each paper or letter was called a “transmission” in honor of the language of a radio operator and contained information on specific electrical engineering terms and how they are to be used. The original format of the material is retained in this edition of the book. The phenomena we call “electricity” is a dynamic, but artificial presentation of the Natural World, and because of this, its behavior follows specific rules. 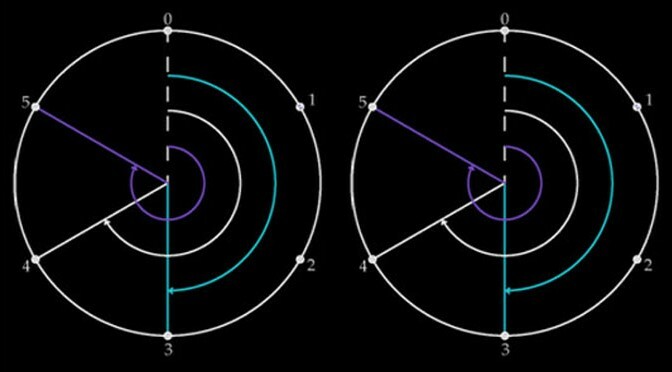 Understanding these specific behaviors is the key to engineering this phenomena, but developing a common language with which to describe these behaviors is the key to teaching others these engineering skills. 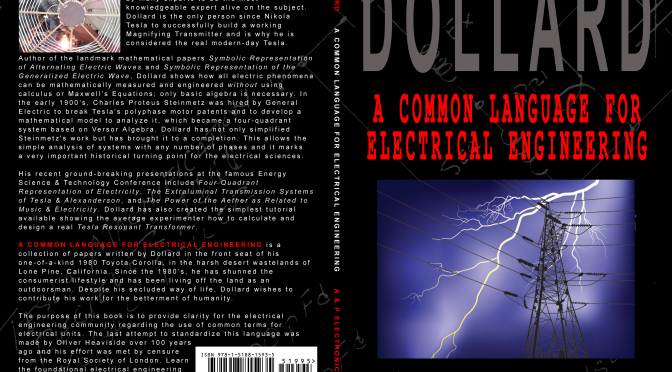 The purpose of this book is to provide clarity for the electrical engineering community regarding the use of common terms for electrical units. The last attempt to standardize this language was made by Oliver Heaviside over 100 years ago and his effort was met by censure from the Royal Society of London. It is hoped that the release of this book will be met with a more enlightened response. A portion of the proceeds will go to EPD Laboratories, Inc., a 501(c)3 tax-deductible non-profit corporation that supports Eric Dollard in advancing the electrical sciences. 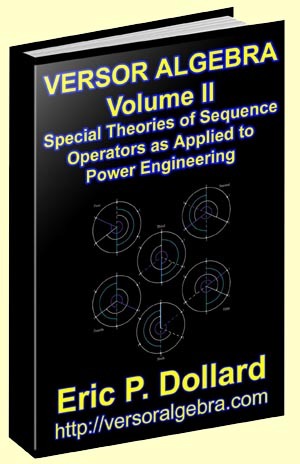 If you have Volume I of Eric Dollard’s Versor Algebra book, you know that it is very important to the electric and musical sciences because it actually gives a theoretical basis for versor or sequencing algebra for the first time in mathematical history. 70% of the proceeds from the links below go to EPD Laboratories, Inc.
Volume II has been much anticipated and it is finally here! 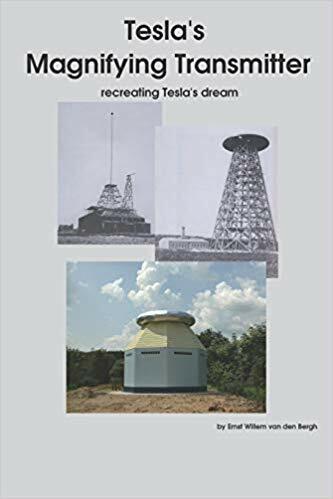 We now take the theory from the first Volume and actually apply it to any number of phases including the enigmatic monopolar or true single phase invented by Tesla for his telluric ground transmission system. It will also cover two phase, which most people erroneously refer to as single phase, which is the common electricity that is available in your home. There are other phases including eight phase, which is necessary for the analysis of polyphonic music such as Bach’s. You will be able to observe the mathematical process without being sidetracked by numerous subscripts and the use of the same letter for a multiplicity of terms, which is the flaw in the available textbooks on the subject.